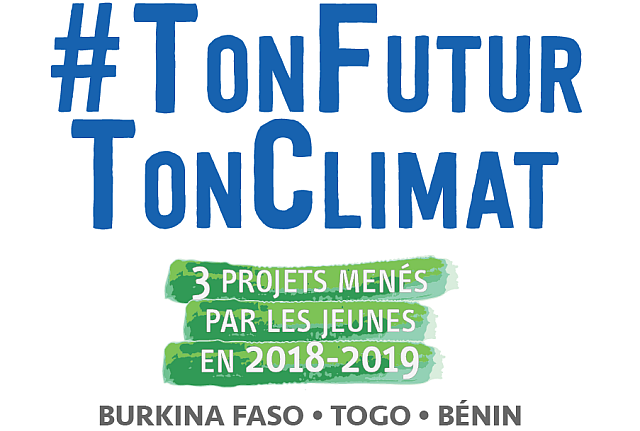 The International Secretariat for Water, the Global Water Partnership West Africa, the Country Water Partnerships of Burkina Faso and Benin, and the NGO Eau Vive Togo are proud to announce the launch of the project #tonfuturtonclimat. – With the support of the Country Water Partnership (PNE), young people from one of the Samba, Ziniaré, Koubri or Komki-Ipala communes in Burkina Faso will implement a project to optimize water use in agriculture and develop renewable energy sources by setting up a drip system powered by a photovoltaic system to irrigate the land used for gardening activities. – In Togo, the pilot project will enable the “association des Jeunes Braves” of Appéyémé in the community of Danyi-Apéyémé-Todomé to set up a sheepfold, acquire equipment for composting and agro-ecological gardening and the installation of ECOSAN toilets. – In Benin, the young people of Kouandé commune will participate in restoring the land in the Mekrou basin headland through the establishment of a cashew tree plantation and improved ovens for households and processing units for cassava, soybeans and paddy rice. These three projects will not only restore and conserve ecosystems affected by climate change and anthropogenic pressures, but will also increase the food security of vulnerable populations affected by climate change impacts. “We are committed to this action in order to share our field experience and the results of projects such as the Water Climate and Development Programme (WACDEP), the Integrated Drought Management Project (PROGIS) or the Mékrou Project. This action constitutes for us a continuity and sustainability of the results of these projects and a very good basis for building young people’s confidence. This project is in line with GWP’s principle of promoting the gender approach and supporting youth organizations to train them in environmental water-related activities and their climate change sensitivity“, says Dam MOGBANTE, Executive Secretary of GWP-West Africa, who ensures about the close monitoring that will be done of the implementation of these projects. “We are delighted to support the innovative capacity of West Africa’s youth and place it at the heart of the action to contribute to a sustainable future, as promoted by our WaterGeneration youth strategy,” said Sarah Dousse, Executive Director of the International Secretariat for Water (ISW). This project #tonfuturtonclimat is made possible thanks to the financial participation of the Government of Quebec, as part of the 2013-2020 Action Plan on Climate Change, financed by the Green Fund and the Global Water Partnership Organisation.